I was just involved in an accident, what should I do? The first thing you need to do when involved in an automobile accident or motor vehicle accident is to stop. If you or anyone in your vehicle has been injured, the police or 911 should be called, particularly if an ambulance is needed. If you are able to physically do so, you should get out of your vehicle and look at the damage to your vehicle and that of the vehicle that struck your vehicle. You and the other driver must exchange information which will include name, address, phone number and insurance information. You should also write down the license plate number of the other vehicle. If there were any witnesses to the accident, you should obtain their names, addresses and telephone numbers. If at all possible, the witnesses should be asked to remain until the police officer arrives. If you have a camera or a cell phone with a camera, you should take pictures of both vehicles and any other relevant objects such as skid marks, debris or some other obstacle in the road or defect in the pavement itself. If paramedics arrive, you should at least be “checked out” to document the nature and extent of any injuries. If you are not physically capable of driving your car or are concerned about your injuries as a passenger, you should have the paramedics take you to the nearest emergency room. If at all possible, the cars should not be moved so that the police officer can see the actual position of the cars at the time of impact. If you are concerned about your own safety or there is heavily congested traffic, it might be advisable to move the vehicle to the side of the road if you are able to do so. If the police officer asks for a written statement, the statement should be concise but fully explanatory. For example, if your vehicle was stopped at a red light and your automobile was rear-ended, then you do not need a long explanation. It is important that if you are in any discomfort, pain or believe that you are injured, you should tell the police officer as well as the paramedics. You should also indicate that you were injured in your written statement to the police officer. If the police do not come to investigate the accident, or if the accident is a hit and run, you should make a written report of the accident within 24 hours at the nearest police station which identifies the accident and, if possible, the vehicle which struck you. You should never try to chase down a fleeing vehicle by yourself. If at all possible, at least try to obtain the license plate number. What if the accident occurred in a parking lot or on private property? Sometimes the police will not respond to an accident in a parking lot that does not involve personal injury or if it is a minor accident. You should, however, try to have an accident report filled out by a police officer at the scene of the accident. In most cases, the police officer will not cite the other driver on private property unless there are serious injuries, a fatality or other legal issues such as driving while intoxicated or under the influence. What if I am not able to drive my vehicle home? If you are physically unable to drive your vehicle, then you might be able to have a relative drive the vehicle home for you. If another person cannot drive your vehicle, or if your vehicle is rendered unsafe or inoperable by the property damage, then the vehicle will be towed to a towing yard. You will be given the name of the towing company. The towing company will have a lien on your vehicle for towing and storage costs, which costs will either have to be paid by you (if you want the vehicle back) or by the defendant’s insurance company if the company is going to pay for repair or for total loss of the vehicle. However, the towing company does not have a lien on your personal items left in the vehicle. You will need to show a valid drivers license and a current registration for your vehicle as well as proof that the car is insured. You will also be asked whether you were wearing a seat belt at the time of the accident. You should not admit fault for the accident to anyone, nor should you tell anyone how much insurance you carry. You should never argue with the police officer. It is important to remember that even if the accident is not your fault, if you are an uninsured motorist at the time of the accident, you will face certain penalties under the law. However, this will not affect a personal case against the other driver unless you have serious injuries and the other driver/owner has a very low policy limit. In such case, you monetary recovery will probably be limited to the lower policy limit unless that driver has substantial financial assets over and above the insurance policy. Will damage to my vehicle be paid? If the other driver is at fault for the accident, that driver’s (or owner’s) insurance company should pay for all property damage directly related to the accident. This would also include any provable damage to personal items in your vehicle. If the car is still operable, you should at least obtain 2 to 3 estimates for the insurance company for property damage repair. The insurance company will also probably assign a property damage adjuster who will want to look at your vehicle and also come up with an estimated cost of repair. In some cases, there may be hidden damage underneath your vehicle which needs to be pointed out to the adjuster or estimator. In some cases, your vehicle may be a “total loss”. A total loss simply means that the cost of repair exceeds the fair market value of your vehicle. Accordingly, the insurance company will only want to pay you for the market value of the vehicle. This is often determined by a database program to which the insurance company has access. If your car is repairable, you are entitled under the law to a loaner car. However, you will have to have proof of adequate insurance coverage. If the car is deemed a total loss, then normally the insurance company is not obliged to provide you with a loaner car. Furthermore, you will also have to transfer title of your vehicle to the insurance company unless you want to keep the vehicle, accept a lower property damage settlement, and obtain a salvage title from the State. If I believe I have been injured, what should I do? For any injury, no matter how slight you think it might be, you need to have a qualified medical examination. The examination will help you get the medical assistance you need as soon as possible. If at all possible, assuming the ambulance does not take you to the emergency room, you should seek treatment and examination the day of the accident. It can be at the emergency room, urgent care center, or in some cases your own family doctor if you can see the doctor right away. You should tell the doctor as to each and every part of the body where you are experiencing discomfort following the accident. You should also tell the doctor about your accident. If you have a head injury, the emergency room physician might want a CT Scan performed to make sure there is no brain damage. If medication was prescribed, you should have the prescription filled as soon as possible and keep the receipt(s). There are many injuries in an automobile accident which are not apparent at the time of the accident. It is therefore a good idea to still seek medical treatment after an accident to make sure that you have not suffered an injury which will show up later and which might be disputed by the insurance company as being related to the accident. If I have been hurt, who will pay for my treatment? The other driver’s automobile liability insurance company is not a health insurance carrier. If you have health insurance coverage, you should have each healthcare provider submit treatment bills directly to your health insurance carrier. If you are eligible for Medicare or Medicaid coverage, then you should give this information to each treating healthcare provider. You might also have a medical pay provision under your own automobile insurance policy. However, it is advisable to first try and have your bills paid by your own health insurance carrier. The medical expenses will later be included as part of the damages to be recovered against the defendant’s insurance company. Payments made by your health insurance company, Medicare or Medicaid will be subject to subrogation (reimbursement) out of your monetary recovery. However, the subrogation amount is usually significantly less than the amount you pay to each healthcare provider out of your own pocket. What should I do if the insurance adjuster contacts me? Firstly, you should obtain the name, address and phone number of the adjuster as well as the assigned claim number. Most insurance adjusters are very friendly. However, this does not mean that the adjuster is going to give you the benefit of doubt on the issues of liability, injuries and damages. The insurance adjuster is representing the driver or owner of the other vehicle and not you. The adjuster will probably ask you for basic information such as: What happened? Were you injured? Did you seek treatment and if so where? Did you miss any time from work? Is there property damage? Where is your vehicle now? Many adjusters want to tape the initial phone conversation. It is advisable, if at all possible, not to consent to taping of the conversation as this could be used against you at a later time if there are any questions pertaining to your answers. Such a taped statement, if necessary, can be given later by way of a teleconference in your attorney’s office. What should I do if I have to take time off work due to my injury? The insurance company will consider paying for loss of wages at the end of the case as long as you have a medical certificate as to your inability to work due to your injuries and your employer confirms the loss of earnings or wages. If you are self-employed, proof of earnings loss will be more difficult and require significant, detailed documentation. No matter what kind of accident you have been involved in, you should obtain a competent legal opinion on your rights and responsibilities that were affected by the accident. Legal rights are affected by an accident and it is in your best interest to have a knowledgeable Ohio personal injury attorney review the facts in your case before deciding what course of action to pursue. An experienced personal injury attorney can evaluate your case and tell you what to expect. The attorney can recommend appropriate medical treatment, negotiate a replacement automobile, negotiate to have your automobile repaired, and negotiate a fair and full settlement with the insurance company that takes into account all of your damages, including your pain and suffering. Furthermore, the initial consultation with a personal injury attorney does not cost you anything. If both you and the attorney agree that you need legal representation, then a written attorney fee contract will be signed. This is normally a contingency fee contract whereby you do not have to pay an attorney fee until a monarchy recovery is obtained for you. However, the attorney’s out-of-pocket expenses such as for obtaining records or reports and for advancing litigation costs are ultimately the responsibility of the client regardless of the outcome of the case. Most of the time, these case expenses are advanced by the attorney and thereafter reimbursed by the client at the time of settlement or monetary recovery. The other option is for you to attempt to negotiate for yourself. In such case, you will be up against a battery of knowledge and experienced claims adjusters and insurance company lawyers who get paid, praised and promoted for keeping the settlement costs low. After all, the insurance companies are in business to make a profit and not to be charitable organizations. As Abraham Lincoln, a lawyer, once said: “a man who represents himself has a fool for a client”. Using an experienced personal injury attorney can actually increase the amount of money you will be paid to compensate you for the accident so that even after the attorney’s fee is paid, you will have more money in your pocket than if you attempted to represent yourself. An experienced personal injury trial attorney knows what you are entitled to receive as compensation. He or she knows all that you should receive to put you back in the position you were immediately before the accident, and the insurance companies know this. Having an experienced personal injury attorney on your side, representing only you, tells the insurance company that you are serious about protecting your rights. They know better than to try a low ball offer, misrepresent their obligations or tell you that you have to take whatever they offer. The peace of mind from knowing your interests are being protected allows you to get back to your life, with as few delays as possible, and with a settlement that fairly compensates you for the accident. It is only normal for this question to be asked by a client. The value of the case is not based upon what your neighbors or friends tell you, or based upon how much money you need to be well off in life. In all personal injury cases, once liability has been established, then all damages proximately caused by the defendant should be considered. Damages include: (1) past, current and future estimated medical expenses; (2) past, present and future loss of wages/earnings; (3) property damage; (4) any permanent disfigurement or disability; (5) cost of hiring someone to do household chores when you cannot do them; (6) pain and suffering which may include interference with daily activities, emotional distress, anxiety, interference with the pleasurable activities of life; (7) any other provable costs/damages that were the direct and proximate results of your injury. There may also be damages for interference with your family relationships which include loss of consortium of a spouse, child or parent. Obviously, when you first see a personal injury attorney, the full extent of all of your damages will not be known at the time. Therefore, it is important that all damages be well documented and provable in order to persuade the insurance company to pay a fair and reasonable settlement amount or for the jury to fully compensate you in its verdict. If you do not keep up with your prescribed treatments so that the duration and seriousness of the injuries can be established, you are going to end up with a disappointing result. Likewise, you should avoid being overtreated for minor injuries such as by racking up thousands of dollars in chiropractic treatments over a short period of time. When your treatments have been completed or have leveled off and your injuries have either fully healed or reached maximum recovery, then your attorney should be able to provide you with a potential settlement range of your personal injury case and discuss a settlement demand which will be presented to the insurance company. 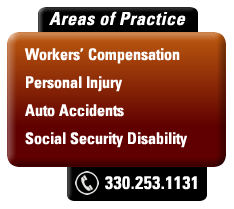 Each personal injury case is unique. However, insurance adjusters and defense attorneys have considerable experience and background in dealing with the so-called “minimal injury” case, the so-called “whiplash” case and the so-called routine “soft tissue” injury case. Minor visible property damage to your vehicle, accompanied by soft tissue injuries such as strains/sprains, generally mean that the adjuster will try to “pigeon-hole” your damages into a lower settlement value category. Even in serious injury cases, the insurance company will often initially offer a much lower settlement amount than the case is worth.